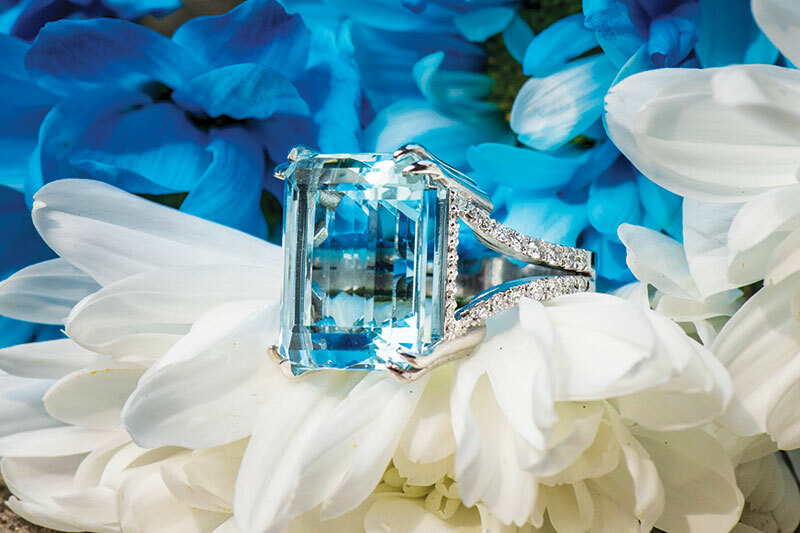 Emerald-cut aquamarine ring from Cozzi Jewelers. Ever since Meghan Markle wore Princess Diana’s aquamarine ring on her right hand, this once ho-hum custom of donning this hue is now shining brighter than ever. 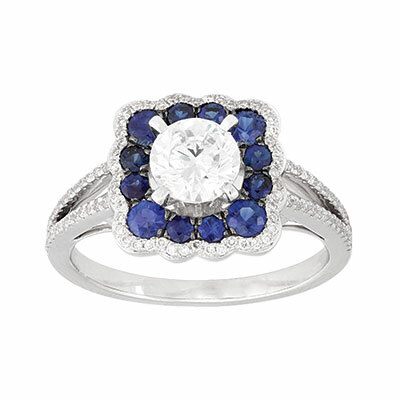 This 14-karat white gold sapphire and diamond ring includes 12 round sapphires and 104 round diamonds. $2,500, available at Stuart Kingston Jewelers, 3704 Kennett Pike, Suite 450, Greenville, Delaware, (302) 652-7978, stuartkingstonjewelers.com. 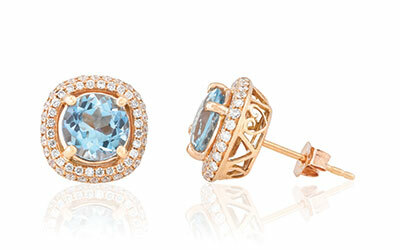 Sparkle in these aquamarine and diamond earrings set in ornate carved 14-karat rose gold. $3,800, available at Stuart Kingston Jewelers, Greenville, Delaware, stuartkingstonjewelers.com. 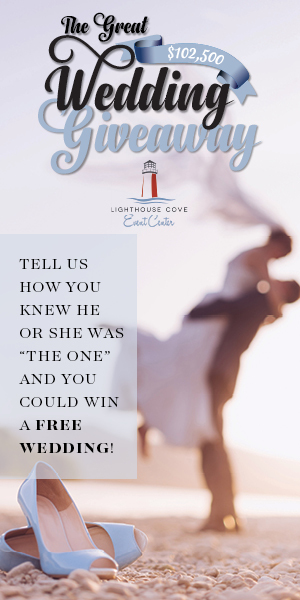 Are you more of a T-shirt and jeans type of couple? Then these durable and tasteful timepieces have your names written all over them. 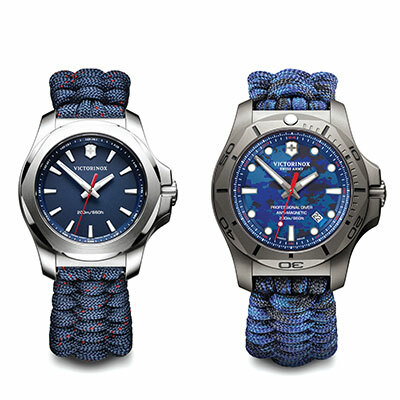 For more information, visit victorinox.com. Women’s I.N.O.X. V Victorinox Swiss Army watch, $575 and Men’s Victorinox Swiss Army I.N.O.X. Professional Diver Titanium watch, $750, also available at Indulgence Jewelers, 4001 Kennett Pike, Suite 130, Greenville, Delaware, (302) 426-9811, indulgencejewelers.com. 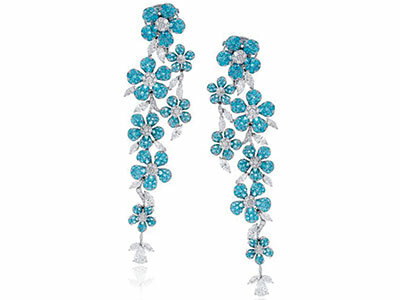 These extraordinary earrings contain 4.42-carats of bright blue paraíba tourmaline set into 18-karat white gold flowers. 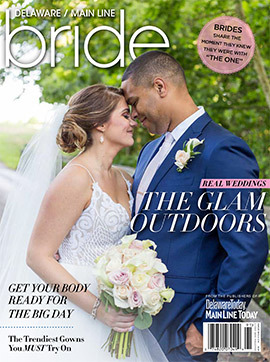 This rare gem is highlighted by .88-carats of round diamonds, .54-carats of pear-shaped diamonds and 2.16-carats of marquise-shaped diamonds. $28,600, available at Orly Diamonds, 1601 Concord Pike, Independence Mall, Wilmington, Delaware, (302) 384-7623, orlydiamonds.com. 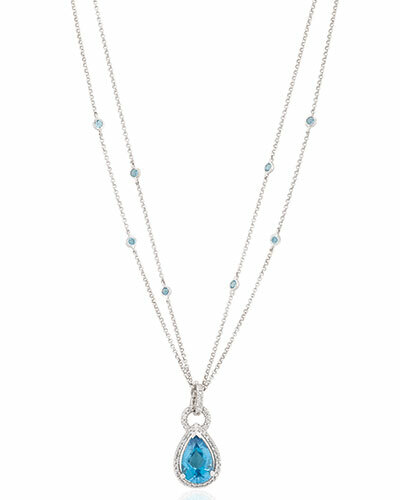 Tantalize in tanzanite! This 2.71-carat emerald-cut stunner is bold and beautiful and is elegantly framed by a delicate split shank set in 18-karat white gold. $5,895, available at Orly Diamonds, Wilmington, Delaware, orlydiamonds.com. 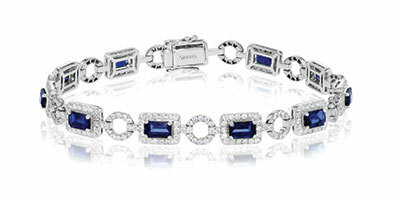 This vintage-inspired bracelet features 3.78-carats of bright blue sapphires as well as 2.30-carats of round, brilliant-cut diamonds in 18-karat white gold. $10,670, available at Orly Diamonds, Wilmington, Delaware, orlydiamonds.com. 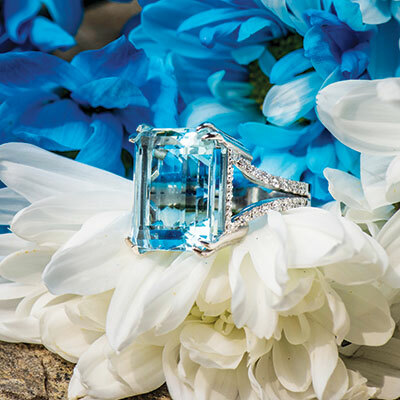 This emerald-cut aquamarine ring tops out at 25.51 carats. The mounting has 1-carat total weight in round, brilliant cut diamonds all hand set in white gold. 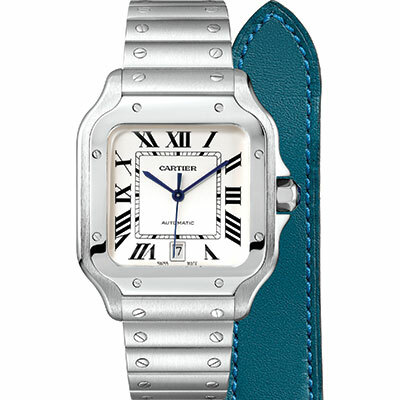 $14,200, available at Cozzi Jewelers, 4819 West Chester Pike, Newtown Square, Pennsylvania, (610) 789-1007, cozzijewelers.com. 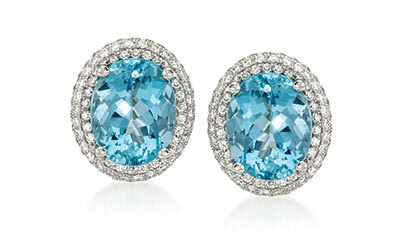 These radiant studs—reminiscent of tropical waters—contain almost 5-carats of aquamarine stones. 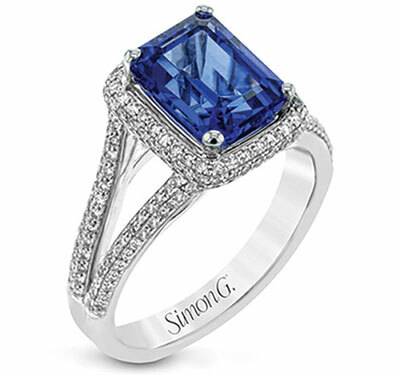 By Simon G., $5,720, available at Sidney Thomas, 112 Christiana Mall, Newark, Delaware, (302) 369-3255, sidneythomas.com.